Justice and mercy meet at the cross. Beginning late in 2011, the BTGM Board agreed to authorize Rev. Russell Gray, also a BTGM Board Member, to raise support in order to start a benevolence ministry that shows God’s love by providing homeless individuals with food, clothing, and shelter. Rev. Gray, who is accountable to the BTGM board, was an excellent choice for this responsibility, as he is also the “go to guy” at the jail for helping homeless inmates who don’t have a place to go when they get out. Rev. 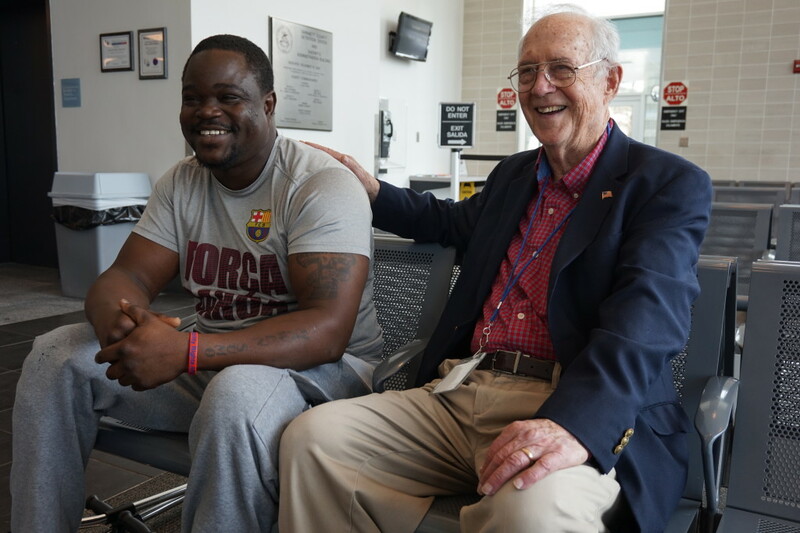 Gray has countless stories to tell about how he has become personally involved with returning citizens by picking them up from jail and having breakfast at Waffle House, putting them up in Extended Stays when necessary, and in a few noteworthy cases, as described below, recruiting them to help others. After having being humbled by homelessness, couch surfing, and sleeping in my car for a month, guided by advice from a stranger, I decided, by faith, to explore the resources of the Father. He later sent me an “angel” that would serve as an emissary to reverse my status quo and put me on the right trajectory. In short, had it not been for Pastor Russell and the Greater Gwinnett ReEntry organization, only God knows what my life would be like today. 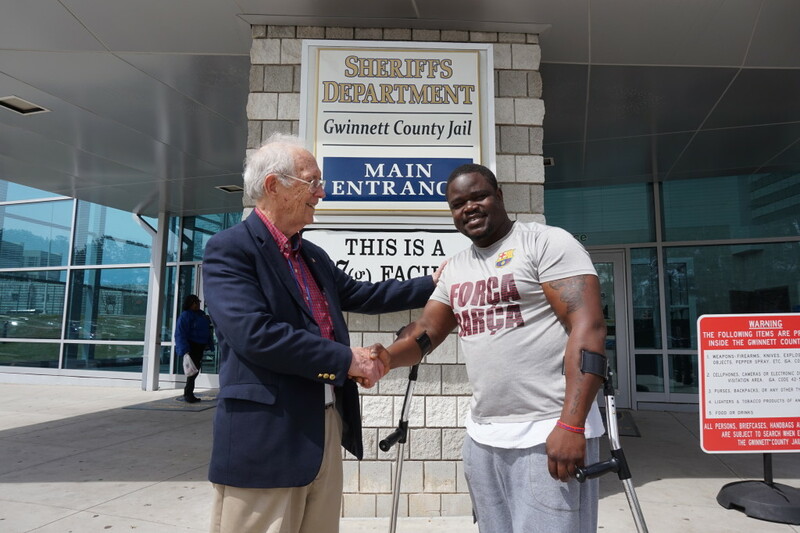 I think it must have been mid to late September when I finally went to the Gwinnett County Detention Center (GCDC) to seek help for my plight. The previous night, another homeless guy almost robbed me. After he got caught in the act, he advised that I should always lock my car doors, He left me literally scared to death. He might have thought I was in a deep sleep when he tried to creep in on me, but first God and then my quick reflexes deterred him from stealing my phone and wallet. That rude awakening was literally a wakeup call. I proceeded to the GCDC to ask the kind folks there if I could spend the night in their parking lot. When I went inside, I explained my story to the police about the previous night and asked if I could hang around in their parking lot for the night, but they had other plans. They suggested that I return to the lobby by 6:00 am the next day and that there was an older man who might help me. So that night I slept in my car in the parking lot of the detention center. The next morning by 6am, I was able to meet Pastor Russell who provided all the resources I needed to get back on my feet. I should also add that I’ve informally adopted Pastor Russell as my new father since I lost my biological father. Pops, as I affectionately call him, is one of God’s own angels, called to do this work. He has spent his resources to fix my car, get me re-employed, and find a decent place to live. Thank God for Pastor Russell and all the others genuinely working in His vineyard. God bless!